If you know something about dog training, you can probably guess that I never said this. No doubt they were picking up on the phrase “calm and assertive” (not “aggressive”) that I must have repeated several times during my interview. No hard feelings – I know reporters are under deadlines, overloaded with projects, and often writing about fields in which they aren’t themselves experts. But I wanted to clarify here that I do NOT encourage being, or ever try to be, aggressive with dogs. Assertive, yes; aggressive, no. So what’s the difference? What is “calm and assertive energy” anyway? The famous phrase was coined by Cesar Millan, in his attempt to describe the proper energy and attitude of a good pack leader. I very much like the phrase “calm assertive energy”, particularly the “calm” part: that’s where I drew the name of my company from, Calm Energy Dog Training. Calmness is incompatible with many unbalanced and antisocial mental and emotional states: it is very difficult to be the way NYMag says I encourage being, namely both calm and aggressive at the same time. The same goes for being simultaneously calm and hyperactive, calm and anxious, calm and fearful, calm and mistrusting, calm and demanding, calm and impatient… and so on. 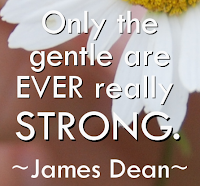 one of these things – being violent, scary, hurtful, trying to win, starting a fight. 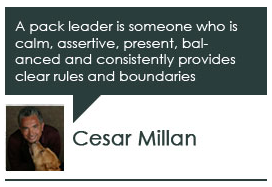 In contrast, I think of “assertiveness” in the sense Millan means it as being a leader instead of a follower. Providing directions, showing the way, instead of being a sheep; being positively active instead of negatively reactive. In fact, because “assertive” often carries connotations of aggression, I prefer to say “calm leadership” instead of “calm and assertive”. 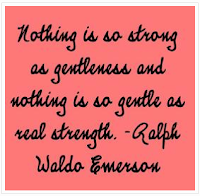 I thought this captured a perfect description of calm assertive energy/calm leadership. Strength does not require violence: you can be both peaceful and strong at the same time, a pacifist who does not get beaten down or give up easily. 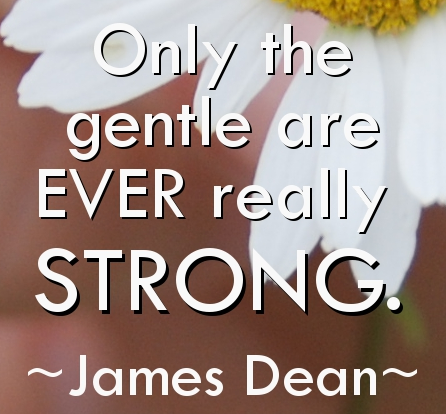 And gentleness does not imply weakness: you can be gentle, caring, without being a wimp. And THAT describes the kind of leader that your dog wants you to be.